Could you please thank Dr. Wat for me? First of all, she did a great job on my filling. Secondly, that she took the time to explain (and even made a diagram) of my tooth, the decay, the filling, the root – what could happen, etc. The good news is I am not in pain – at all. But I appreciate that she took the time to prepare me that I might experience pain, and why. Previous dentists did not do this, and I have had a couple of instances of sensitivity and discomfort long after a filling. If the dentist had explained that it might happen and why, I would not have worried as much. So thank you, Dr. Wat. The assistant and hygienist are wonderful too – patient and gentle. You make a great team and I’m happy to be a customer now! --a dentist who has an incredible, up-to-date, knowledge of procedures and practice. A dentist who actually cares about the patient's dental wellness, "trouble-shoots," and shares a joke and a smile! --an office manager who greets you warmly on the coldest, wettest, dreariest days (not just the sunny ones!) and keeps records, appointment dates, everything, efficiently. --staff members who ask and then act upon your dental needs: no worries about reminding them of sensitive teeth every time you go. They remember and take appropriate action. Every time. --a bright, inviting space with the latest equipment. When we go to the office, we know from our updated surroundings that we are with professionals who care about easing any anxiety a patient may have--and we appreciate it. That's the list-- we can tick off every item when we visit Dr. Lisa Wat's office. And believe us, when we're preparing for the next crown appointment, every item becomes ever so important! 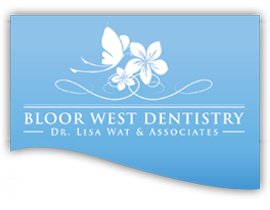 "I have been a patient of Dr. Wat for over 4 years. Prior to my arrival my teeth were in bad shape and getting worse with every passing year. 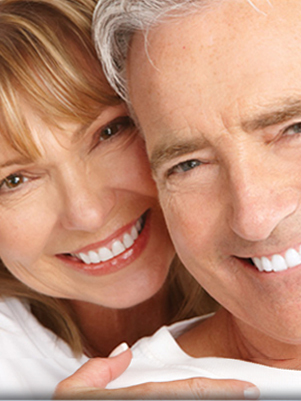 Thanks to her expert care within a year she put an end to the constant, reoccurring dental issues I was experiencing. Her manner is professional but still approachable and, despite the relatively invasive nature of my treatment, I hardly felt any discomfort during any of my procedures. The rest of her staff is wonderful and I have recommended Dr. Wat to all my friends and family." My wife and I are retired and live in a small town called Brighton about one and a half hours from Toronto. We have been Dr. Wat’s patients since 2004. We would never consider having another dentist look after us. Dr. Wat is a special person. We feel priviledged to be under the care of such a fine, competent professional. Having Dr. Wat look after us is well worth the commute.